Three pounds of venison summer sausage. Lean exotic wild game deer meat, venison is nutritious and delicious. Slow smoked over hickory and vacuum sealed in 1 lb sausages. Makes a great gift for friends and family, sportsman and soldiers. 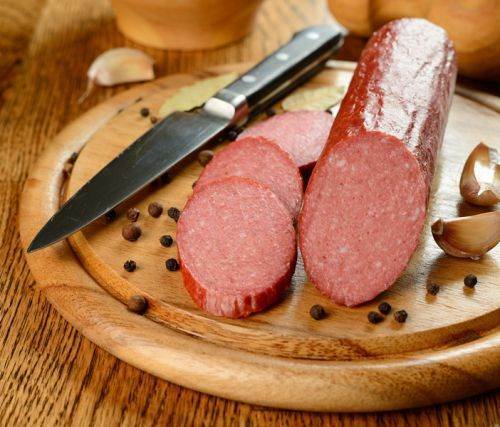 A high protein, low fat energy meal using our original family summer sausage recipe from 1978. Order some for appetizers or a meal. My son slices his thin and puts on his frozen pizza before baking. Kids huh? 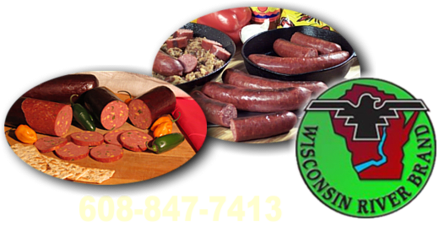 Three pounds of wild game sausage delivered to your door. 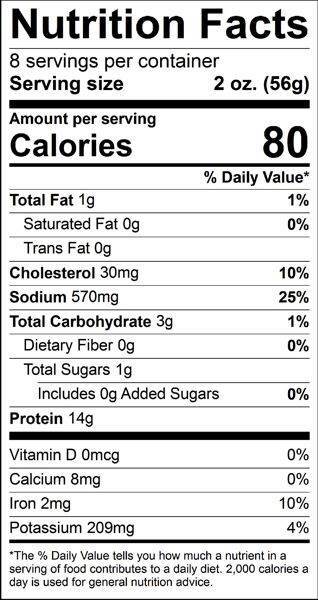 Ingredients: Venison, beef, water, salt, dextrose, corn syrup solids, soy flour, spices, garlic powder, natural smoke flavor, lactic acid starter culture, monosodium glutamate, hydrolyzed soy protein, sodium erythorbate, sodium nitrite, collagen casing. I love the summer sausage - the buffalo is excellent, the venison perfection. I have several neighbors who have tried the venison, and are delighted. They have stated they are ordering more for themselves, and their families. I recieved this summer sausage as a gift.I'm happy to report that this is the best venison summer sauage I've ever had. It's a winner! Just wanted to thank you for the awesome products you shipped. I work at Home Depot here and I bought some in. The venison summer sausage was consumed by co-workers in record time this morning. Yes, I told all of them where to buy it online. Service Area: Mauston, Wisconsin Rapids, Baraboo, Portage, Black River Falls, Richland Center, Wisconsin Dells, Nekoosa, Lodi, Poynette, New Lisbon and surrounding communities.